Reduces cost and plant downtime during plant cleaning processes. Plant operations require less preparation prior to outage. 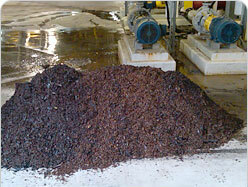 Lowers overall plant water usage during hydroblast cleaning outage. Lowers the risk of flooding the plant, which allows for more continuous run time for the blasters. Product quality levels are restored sooner after plant outage.